Wagner's Cardinal blend is formulated to attract Cardinals and other songbirds. A combination of Cardinals’ favorite seeds create this tempting feast - safflower, black oil sunflower and striped sunflower seeds. This mixture of high oil content seeds provides the necessary energy needed to nourish these brilliantly colored birds. An added bonus: squirrels don’t like safflower seeds. 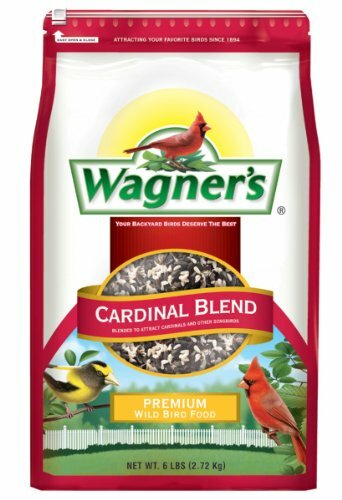 The Cardinal is one of America's favorite feeder birds, so enjoy the sights and sounds of the beautiful Cardinals and other songbirds that Wagner’s Cardinal Blend is sure to attract to your backyard. Trust your backyard birds to the experts at Wagner’s.